Europe in, GB out: what does it mean for UK's NHS and digital healthcare in Europe? Europe in, GB out: what does it mean for UK’s NHS and digital healthcare in Europe? Healthcare expenditure and IT spending. UK. The Brexit decision will lead to austerity in the long term (at least until 2018), as cost cutting policies will be necessary for the renegotiation of all agreements. 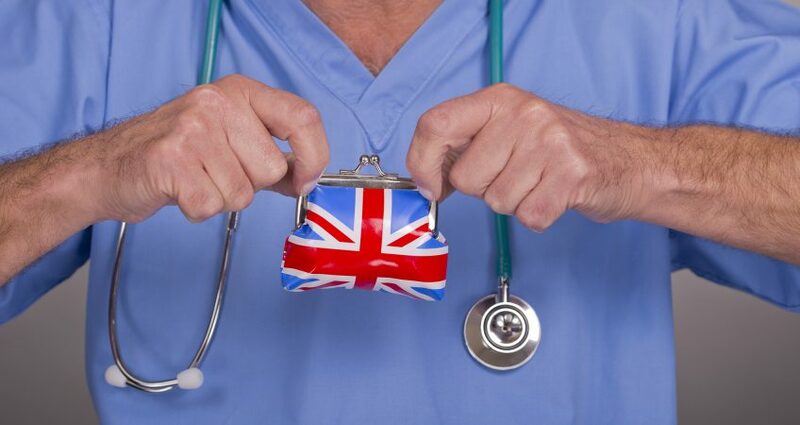 The National Health Service (NHS) will need to replace the EU funding towards digital health initiatives. Furthermore, a potential economic recession would increase inflation, leading to higher prices for some drugs and other goods and services the NHS purchases. However, “Leavers campaign” claimed there should be a reallocation of a huge amount of money that UK currently use to send to the EU, towards NHS funding. Those funds could be re invested into digital transformation projects like promoting Integrated care. EU. As the healthcare matters is mainly managed within any member States, EU countries will not be affected by a reduction of funding coming from UK. UK and especially NHS Scotland are participating in several eHealth programs (i.e. Horizon 2020, EIT Health (KIC)), along with other national institutions. UK based institutions and companies will have to leave EU programs and thereby create a knowledge gap, also due to the unavoidable effort to attract European research talents. EU health programs must be revised accordingly. Within the last 10 years EU has played a crucial part in promoting knowledge sharing and corporation between countries within Europe by through transnational eHealth programs. EU being more than a governance institution, it also helps leverage good Health ICT ideas and research between borders. Furthermore, some of the work already done, will be lost, because UK will not be part of the project conclusion and thereby contribute to the final results and the knowledge and technology that brings along. Healthcare institutions, countries and regions are struggling with innovation initiatives that never goes beyond small scale installations. Very few make it to enterprise wide installations, and the EU programs are also meant to address that. By focusing on evidence and cross country evaluations, the barriers identified for implementation and adaptation, will hold more validity than local results. The fewer participating in these programs, the less the results can be used on a transnational level. UK. Because of its traditionally shortage of healthcare professionals, the UK (as well as other countries within the EU) has always tried to fill the gap by recruiting staff from other EU countries. However, the Brexit will lead NHS to struggle in recruiting proper and necessary professionals from other EU countries. UK risks not being able to attract the relevant and crucial staff the NHS needs to adopt an integrated care delivery model. With digital transformation, new reimbursement models and collaboration between sectors, the need for highly educated staff is more relevant that ever. The transformation of the NHS to engage social services and CCGs more in the specialized treatment of the patients, requires specialized workforce, that can’t be covered by British healthcare professionals alone. Providers of NHS and social care services should retain the ability to recruit staff from the EU, when there are not enough resident workers to fill vacancies. EU. Healthcare professionals from EU, will experience an increase in competition for job opportunities within their native countries. In particular, there will be an exodus on existing social care workers, that have been recruited by NHS for the last few years to manage chronically ill and elderly patients outside hospital settings. According to EU rules, EU citizens are allowed to access to healthcare services on the same basis as nationals of the country they are living or visiting. As soon as Brexit will be formalized, these rules will probably be non-effective anymore. The consequence will ultimately be, that people who come from any European country to live/visit the UK will be exposed to new regulations. Truly European focused organizations within the UK ultimately might have to decide to move. The European Connected Health Alliance (ECHAlliance) based in Belfast and the European Medicines Agency (EMA) are two organizations out of many, that needs to follow the concrete Brexit plans and act accordingly. Whether we can see some of the above assumptions happen, the full impact will only be determined once negotiations to exit is finalized. While it’s unclear what the long term consequences of the results will be, to avoid any serious implications for patients and providers, we recommend accelerating investments and activities, that would keep any player – payer, provider, national healthcare institutions – flexible and agile to cope quickly with every changing dynamics of the unknown. If you want to learn more about Brexit and its impact on healthcare, please contact Massimiliano Claps, Jonas Knudsen or Adriana Allocato. You can also find more insights about the current Brexit and tech situation from IDC’s Three scenarios for how Brexit will impact Information Technology spending in Europe. In addition to this press release and posts, we now have a 35-page report on the impact of Brexit on UK as well as European IT spend available: The Brexit Impact on IT Spend in the U.K. and Western Europe: A Scenario Analysis. The report outlines the scenarios in more detail, the associated assumptions as well as the expected impact across hardware, software and services for each of the scenarios. If interested, please click here for more information.